Apple installs its Safari web browser The Best Safari Extensions for Mac Users The Best Safari Extensions for Mac Users Safari is probably the best browser for Mac users, but you can make it even better with a few well-chosen extensions. Read More on every Mac sold. Despite this, Google Chrome remains a popular web browser on macOS devices. There’s now more to love about Google Chrome on the Mac: the web browser offers full support for Apple’s Touch Bar. Today we’ll look at how Google Chrome interacts with Touch Bar and how to change commands to suit your preferences. You’ll also learn about a third-party tool that allows you to make customized shortcuts for Touch Bar. First launched in October 2016 Apple Unveils New Touchy-Feely MacBook Pro Apple Unveils New Touchy-Feely MacBook Pro Apple has taken the wraps off of its brand new MacBook Pro. It's a beautifully designed piece of hardware, with several innovative touches and some annoying caveats potential buyers will have to beware. Read More on select fourth-generation 13- and 15-inch MacBook Pro models, Touch Bar is a multi-touch enabled OED strip located above the physical keyboard. It’s where the function keys reside on non-Touch Bar MacBook Pro models. Except for the Control Strip (located on the right side of the Touch Bar) and the Escape button (located on the leftmost side of the Touch Bar), the contents on Touch Bar are dynamic. They change based on the app you’re currently using and the tasks associated with the app. 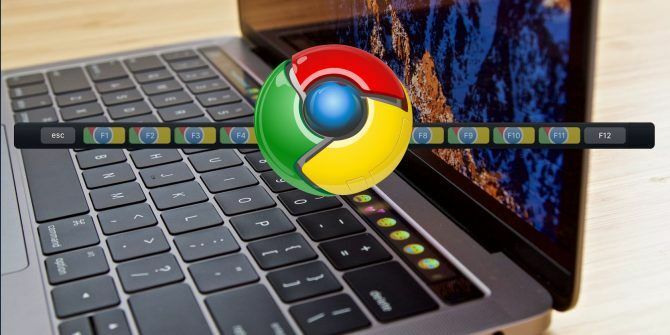 Despite early rumors to the contrary, Google took a lot of time before offering Touch Bar support for the Chrome browser. Now that it’s here, you’ll notice a familiar experience where there are navigation buttons and a hybrid address/search bar. These dynamic keys sit alongside the standard ones, which include volume and brightness controls and the Siri button. You can change these settings by selecting View > Customize Touch Bar from your Mac’s toolbar 10 Awesome Hidden Productivity Tips and Tricks for Your Mac 10 Awesome Hidden Productivity Tips and Tricks for Your Mac While the Mac App Store is filled with awesome productivity apps, you don't need to look that far for some immediate productivity influx. Read More when you’re using Google Chrome. Unfortunately, there are not many changes you can make at this time other than rearranging or removing the default icons on Touch Bar. From the Customize Touch Bar screen, you can also opt to disable typing suggestions if you don’t want Chrome to autocomplete your keywords. Hopefully, Google will add more options for Touch Bar in future Chrome updates. For example, while it’s nice having a shortcut to add Favorites, offering a Touch Bar button to see each favorite might be more useful. 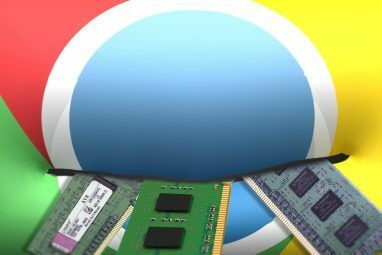 A shortcut button to access Chrome extensions The Best Chrome Extensions Made by Google The Best Chrome Extensions Made by Google Who better to provide Chrome extensions than Google? Play it safe with a trusted source. 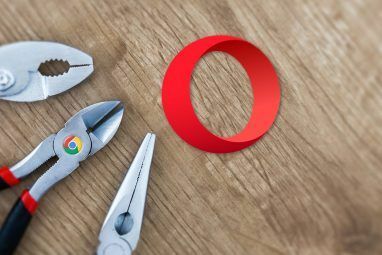 Here are the best homemade Chrome browser addons. Read More would also be worth having. When you want to customize the Touch Bar, its icons jiggle. Use your Mac’s cursor to drag items that you want from the display down into the Touch Bar. You can also drag the buttons left and right within the Touch Bar to rearrange them. Drag them up to remove them. Finally, tap Done in the Touch Bar (or click Done on the right side of the screen) when finished. I consider myself a reasonably active Google Chrome user. The Google Search function has long ago been my best friend when it comes to looking for information on the web. I’ve rearranged the Touch Bar for Google Chrome to reflect this. On my MacBook Pro, I have the Search, Open New Tab, and Home buttons first. The others follow. Again, I wish there was more you could do with Chrome with the Touch Bar. For now, I’ll stick with this customization. As you can see, there isn’t much you can do with Google Chrome using Touch Bar, at least at the time of this writing. 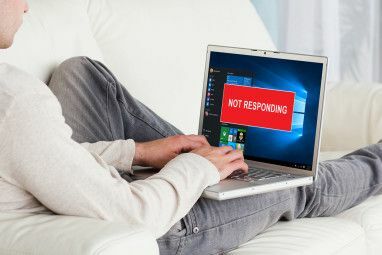 To do more, you can either wait for Google to add more features via a software update or check out BetterTouchTool, a third-party solution that allows you to make customized Touch Bar buttons for Google Chrome and other apps. Once you download and install Better Touch Tool, go to Preferences under the app’s icon on your Mac’s toolbar. Next, click on the Touch Bar tab. Next, click Select Application, and then select the plus “+” icon that appears below it. You’ll have a choice to “select app from file system” or “select app from running apps.” Choose Google Chrome from either list. Select the + Touch Bar button towards the bottom of the screen. Enter a name for the button where you see the label, “Touch Bar Button Name,” and choose an icon for it. In this example, you’ll create a shortcut to add a new tab in Google Chrome. Click on Custom Keyboard Shortcut while also pressing the command+t. When you’re in Google Chrome, you’ll now see your recently created shortcut on the Touch Bar. Using BetterTouchTool, you can create other buttons for Google Chrome. Look under the app’s “Predefined Action” section for things to try. BetterTouchTool doesn’t just work with Touch Bar. You can also use the tool to customize your Magic Mouse, Siri Remote, and trackpads. BetterTouchTool is available with a 45-day free trial. After that, licenses start at $6. Third-party developers are slowly adding support for Apple’s Touch Bar. Some of the most popular Mac apps 10 Apps That Put the MacBook Pro Touch Bar to Good Use 10 Apps That Put the MacBook Pro Touch Bar to Good Use When the new MacBook Pro models first launched, most of the first apps to offer Touch Bar support were Apple's own. Thankfully many third-party apps now also support the feature. Read More on the planet now work with the tool, including Adobe Photoshop CC, Microsoft Excel, and Pixelmator. More continue to get adding with each passing month. Be on the lookout for more apps that use Touch Bar or give BetterTouchTool a try to make your Touch Bar shortcuts of your own. Which Mac apps do you use with Apple’s Touch Bar? Let us know in the comments below. Explore more about: Google Chrome, Keyboard Shortcuts, Touch Bar. this is pretty sad. Apple blinked when it came to touch screens and KNEW, just KNEW, they had to incorporate some sort of touch ... and so now, in the chrome browser, you can take your fingers off the keyboard and trackpad and find a third zone of control in order to do what you can already do faster on the keyboard or with cursor control. And having that option only costs a couple hundred $$$ more. Well done.